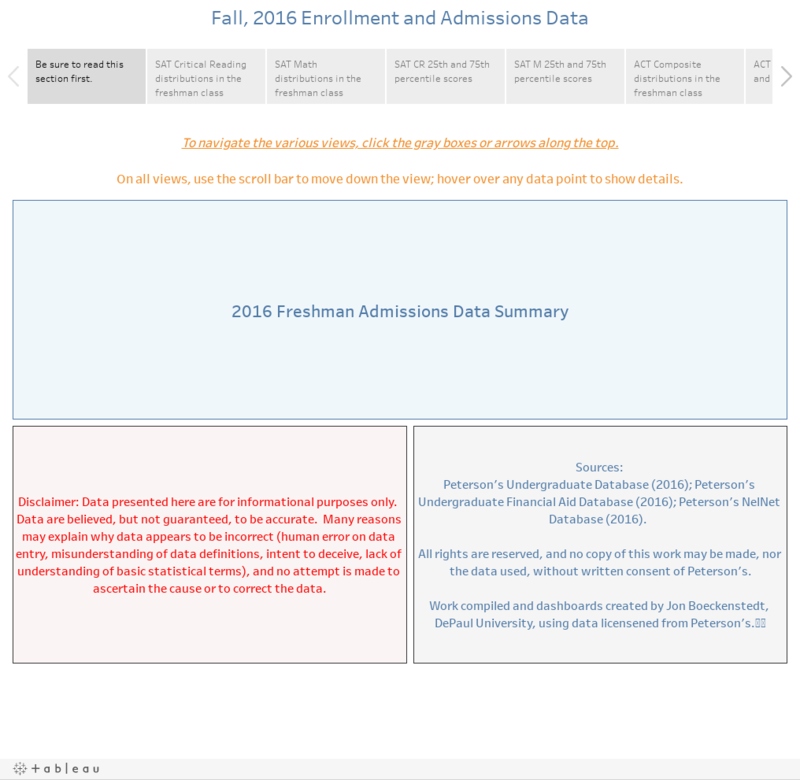 This always proves to be a popular post: The 2016 Admissions Data summary. Use the gray boxes and/or arrows across the top to navigate this information, and the filters to limit the views. Note: This data is "as reported" to Peterson's and is presented as is. If it's wrong or your college is missing, it's almost certainly a reporting error; most institutions left at least some fields blank. It comes from the Peterson's Undergraduate database and the Peterson's Undergraduate Financial Aid database, both copyright 2016 by Peterson's-Nelnet. The data here are used with permission of Peterson's.